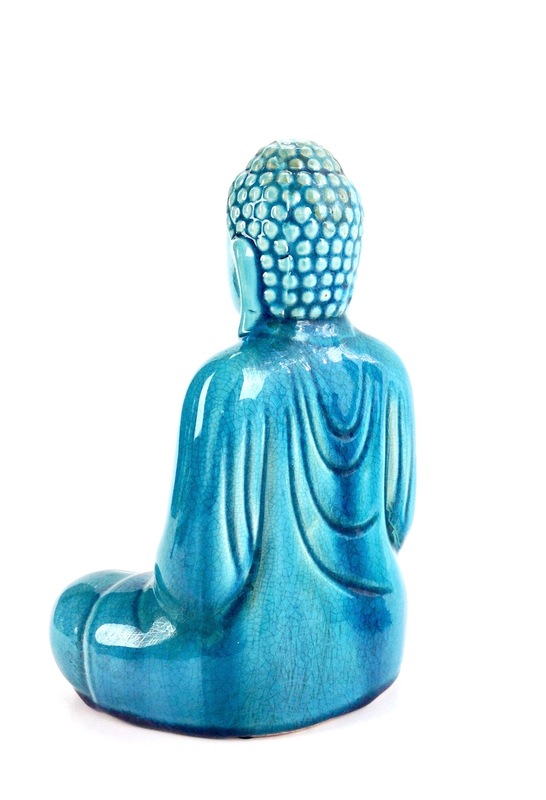 Meditating Buddha in the seated position. 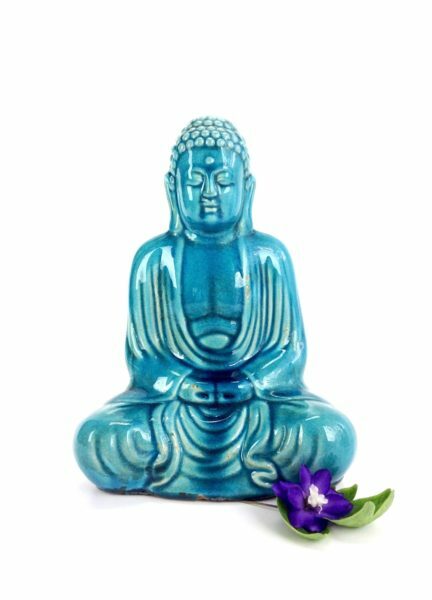 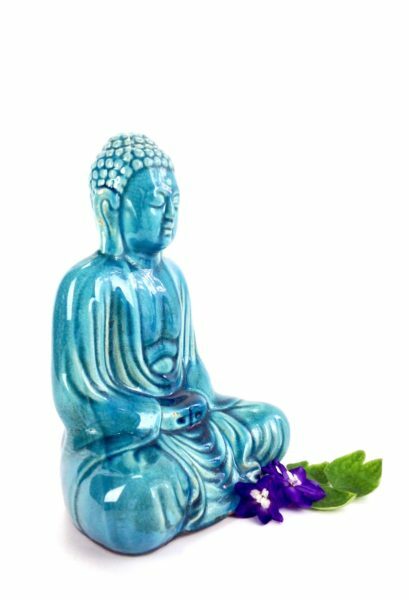 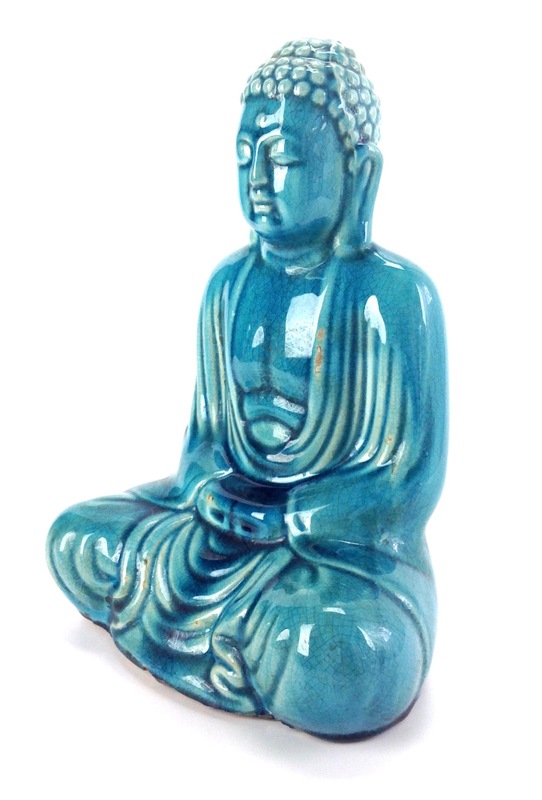 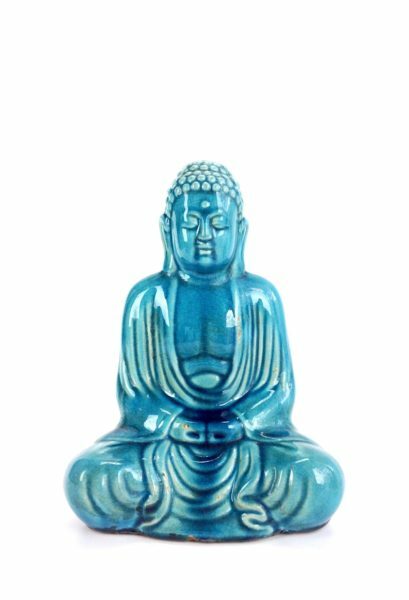 Turquoise glazed ceramic with a vintage vibe, this Buddha calming yet tranquil. 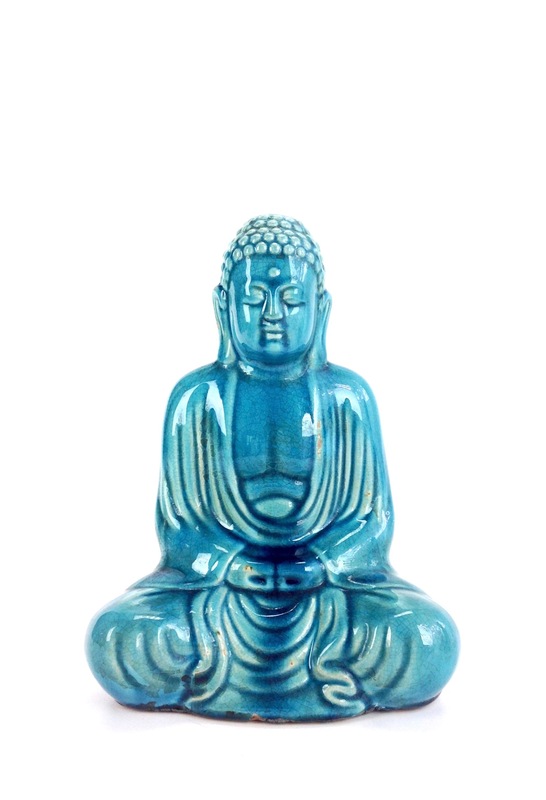 He will bring peace, thoughtfulness & calm to you and your home. 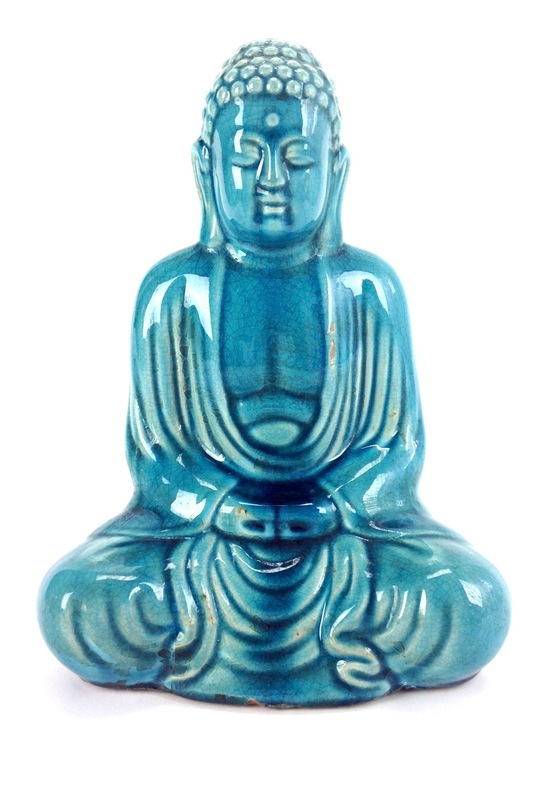 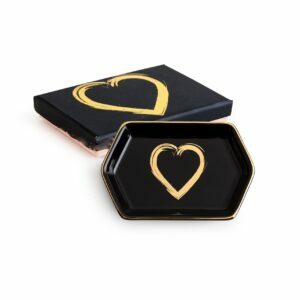 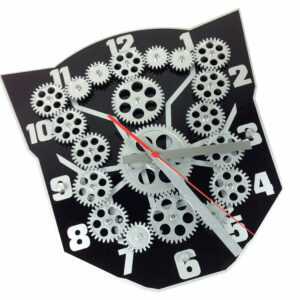 Measuring 11 inches tall x 8-1/2 inches wide and 5-1/2 inches deep.